I thought I was going to write about and show postcards and doodles today, but things got in the way of making them, not me, things! I swear! So instead here’s a little something to give you at least a chuckle. So I thought it would be fun to dump the same question here, hoping that you’ll all play along with me. Do you agree with this theory or not, are you doing what you loved as a kid or at least something that makes you feel the same way, do you wish you had the guts to, and if, why don’t you? 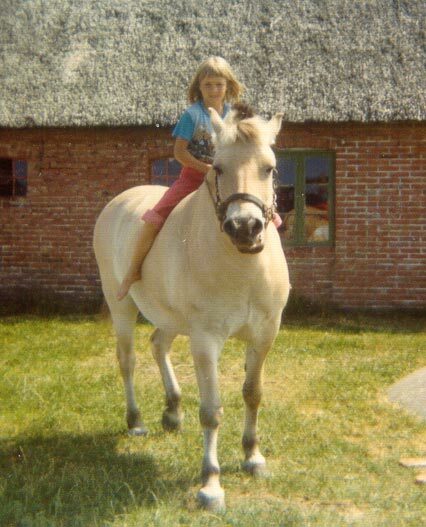 I’ll start: As a kid I loved drawing, books, building things and making up stories, and, well horses. I had my debut as a photographer when I was 4! (unfortunately not a regular occurrence, film was expensive I guess). 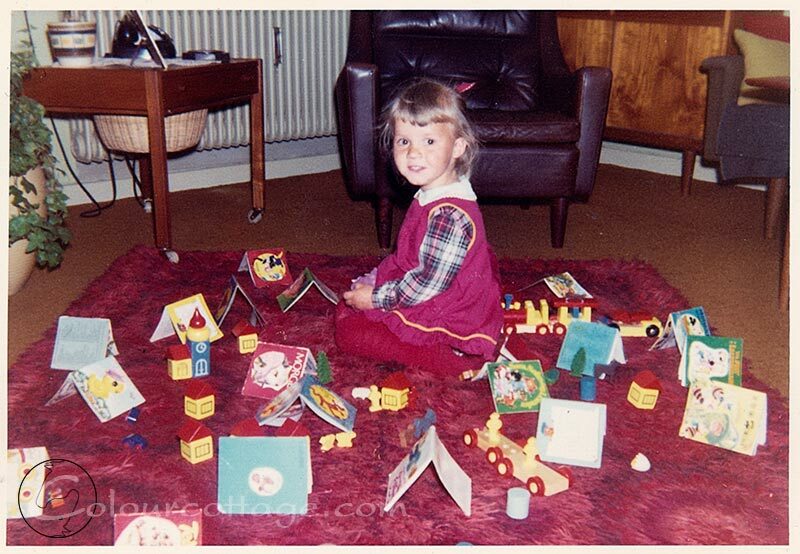 There was even a certain fascination with yarn winders and knitting machines… I also enjoyed doing these things on my own, I wasn’t desperate to have friends around all the time or even my family. Geesh, what do you mean “no surprise”?! So why didn’t I end up working with the things I liked? Well, I used to have a million bad excuses. How I didn’t enjoy math, didn’t want to move, blablabla. There have been several related carreer choices on the table in my teens and 20’s, such as veterinarian, archaeologist, architect, psychologist, photographer, but I could never commit enough to just one when thinking of the huge debt I’d have on the other side of uni. You know, in case I picked the wrong one? At that age you think everything you choose is forever…. I had bought into the theory that you can’t make a living from art. And for some reason, during high school all my stories disappeared. I was too timid to find an apprenticeship in photography because everybody kept telling me how hard it was. Nobody had mentioned to me you need to work hard to accomplish things. (actually perhaps somebody did and I didn’t believe them?) Homework was something I did with a flick of my magic wand pencil and things I couldn’t do I just didn’t out of embarrassment to be seen failing. Again, the ignorance of youth! Life is wasted on the young. Let’s see a bit of interaction! It’s funny how you begin to remember more things when you turn to them like this. Some of my “dream jobs” elude me right now, although I know there were more, but I suddenly remember how sometimes I went along to pick up my mum from the office (Normally I was the last one to be picked up after the day). And if I begged real hard I was allowed to use the typewriter! It was long before I could write but I loved operating it and seeing all the letters appear. Later we had a small typewriter at home and I used it to write little stories and paste them into notebooks with drawings. A lovely post Pia! It’s definitely very revealing looking at what you liked as a child. In my case I loved drawing and crafts (making things, knitting, crochet) from a very early age and continued doing so until my early adulthood (I discovered natural dyeing at the age of 19 or so and absolutely loved it then, I was also really into photography at this stage). Then adult life happened, there was no time for anything except working and it all disappeared for nearly 20 years. But as soon as the “adult life” suddenly came to a halt (in my case because of illness) then it was the very things I loved as a child than have surfaced again. It’s been a real delight to connect with “the old me”, and notice that it never really went away, it was just hibernating and waiting for a time that I could follow my real inspiration again. I often think why I didn’t follow an arty path from the very beginning. In my case it was that I was academically very strong and wanted to go to the university and somehow it didn’t even occur to me that art could be anything more than a hobby. My parents wanted me to study medicine, I insisted on doing psychology but afterwards I never wanted to work as a psychologist, by the time I graduated I was ready to move on to other things (so in my case, yes I accumulated massive student debts by studying some topic that I didn’t stick to, but I don’t regret it all, I loved being a student. In fact I’d love to be a student permanently). But it shows that going to uni definitely isn’t a permanent solution, especially if you have a multipotentialite nature. Since then I have discovered I don’t have the patience to do any one job for more than about 3 years, and even that 3 years should preferably include a lot of variety. And I ended up going back to uni to study something completely different (yes, again very expensive, and this was only a couple of years before I got ill and had to stop working completely, but I still don’t see it as waste). I really like the idea of being an expert in something, to be able to use experience and skill in achieving great things, but it’s not in me to stick to any one thing for very long, I just the need the change and variety, and a chance to pick a new topic to learn about. And now, I am taking an open university course again…. this time it is in fact in textile art, so let’s see if this one sticks. I’ve also been conditioned with ”When you go to university” ”You should be a professor, you’re so smart”. And I did want to and probably would have if not for the headache, in fact I did apply for architects’ academy. Being a language major in high school I could not be a vet without extra courses in pesky chemistry and math, but since my grades were Swedish and I’d chosen to return to Denmark, they didn’t count for as much even though they were good, so I didn’t get in by something like 0.2 points. And then I just gave up. But I would love to study eternally, not just here at home, but actual classes too. I don’t get those who at my age dread new routines and knowledge, I would die without it. I’ve been through a fase recently fearing my income in the last part of my life, people will take you on with a promise of learning fast when you’re 30, but perhaps not at 50? If I look at it from my own viewpoint I don’t see a problem beginning a new type of work at 50 or even 60, the only exception being if I could live on my creative impulses which I don’t think I’ll ever grow tired of. I relate to this a lot actually, though because I was encouraged academically by a boyfriend, age 23 I did go off and do a degree, in social sciences then a masters in sociology. But my choices were somewhat complicated by my desire not to be like my mother, and to get away from home which I hadn’t been brave enough to do on my own (like many abused kids I was taught I could not cope without my parents, and I totally believed this) . I enjoyed my degrees, but my choice as I said was kind of a rebellion. So even though I taught for a bit and started a phd, I soon dropped out. I didn’t know what I really wanted, but it wasn’t that. It took three breakdowns – which always caused me to be creative again, but I viewed it as a kind of therapy- before I committed to making art. Now I understand those breakdowns were what Joseph Campbell describes as the call to the hero’s journey, ie to healing and to what I do now regard as my calling. Am I doing what I loved as a child? Well I certainly made things, I certainly drew, but I also loved to perform, to write, and to sew. I wanted at different times to be a doctor, an actor, a lawyer, and mostly an eccentric woman who lived on her own in a cottage in the woods with dogs and cats. So essentially yes, but had I come from a less chaotic environment where people were genuinely concerned for my future I suspect I would have been a sculptor as I do loves till to make things. There was a time as an adult I did revisit this, but then to cut an even longer story short I got hooked on painting, and here I am. I say i got hooked, but in fact I made my choices to give up other things like writing and acting, long before I was truly hooked and long before I knew whether I would be any good or not. I just realised that for me, it would have to be a choice. How interesting that we see the things that make us feel great as ”just” therapy instead of listening to the inner signals of HELLO, this is IT! Nooo no, be sensible, try to conform now. I’m interested in knowing why you think you had to choose between writing, painting and acting? I know it makes sense to learn one at a time perhaps (did you hear that, Pia? ), but life isn’t over yet. I still want to be an eccentric woman living in the forest, what’s wrong with that? 😉 My mum told me the other day ”you’d end up being all alone talking to the cat”. Um, I already talk to the cat. And the dogs and the horses and they pretty much get what I’m saying too! The hero’s journey. That is a topic which has been simmering in the back for a while. I need to look at it closer I think. Why did I feel I needed to choose? I simply don’t have the energy to do more than one thing to the absolute best of my ability. I used to be in an amateur dramatics group, it’s fun but the commitment is huge when you’re in a production. I cannot keep up that pace and dedicated myself to painting to the best of my ability. In fact I doubt these days I could keep up that pace and do anything else now! Similarly I used to write a 1000 words every morning then try to make art in the pm. I was exhausted after writing though, as i was working on a book. I tried various combinations but it did not work. Nor does doing them consecutively, because I am an unhappy bunny if I don’t have daily visual expression. It became clear to me that if I really wanted to be good which I undoubtedly do, then it would be one or the other, as both were impossible. The thing is, you never learn the arts, any of them, you are constantly learning and you only get from it what you are prepared to give. And once I committed, I was rewarded by knowing I’d made the right choice. 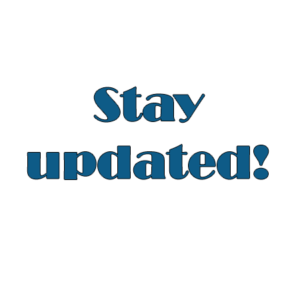 And of course I do still write – blogs. See this is why I keep asking these things, to not run circles in my own viewpoint, to get food for thought. Perhaps some of it takes a while to sink in, some perhaps never, but it’s always valuable information. I do see the need to focus for mastery, and it’s great that you were able to make a choice. My fiber stuff has been definitely assigned a “hobby status” more than something I need to excel at, photos would be the most sensible for me to focus on as that’s where I’m already most comfortable, but I find that going completely digital doesn’t work for my creativity. So I guess I’m simply in a fase where I try out various media and see if one or two calls me more than the others, and eventually some could get weeded out giving me more focus? Writing will happen if it happens, blogging is fine, really. And then some things I learn because I want the specific tool, such as InDesign. I don’t want to work in desk top publishing specifically, but I want to be able to do basic layout stuff for myself. It’s like I’m building a library of different skills throughout my life, that are just there to pull out when I need them, not to do all the time. And perhaps that could satisfy my multipod mind, thinking like that, and then eventually work harder on just one area. Did that make sense? What you say about learning specific skills or tools such as InDesign perhaps satisfying your need for variety is a good point and that kind of thing works for me. Plus I of course make prints, draw, do some abstract stuff and sketch from life, which also helps satisfy that need. I’m just going to repeat one thing I said, not because I want to force it on you, but because it was an important point in my choice making. : I did not know if I could be a good artist when I made that choice. As a writer I was already published, but as an artist I was still in the early stages of relearning basic skills. So I made the commitment before I knew. And that worked well. And if it hadn’t? I would have made a new choice. Because choices don’t have to be forever. No, of course, but there are no guarantees for anything,are there?! And you know I’m not saying what works for me will work for anyone else, just trying to explain that I didn’t know in advance how things would work. My big passion as a child was reading. I read all the books at our shool’s library, I loved reading about faraway places, expeditions to Mt. Everest, people getting marooned, almost everything excepting only realistic novels which I did (and do) not like. Once I was home with mumps, I started writing a long story about a cat family’s life on an ancient typewriter I tound in the attic. I had nothing to read, so I had to wite my own books. Another passion was repairing things. I took broken things apart, and put them back together again. Amazingly often they worked. Once an old clock broke, I found out that the spring was broken. The old, friendly watchmaker in town gave me a new one for free when he found out that I had done it all by myself. It worked for many years after this. I made candles with the materials hidden in a drawer. Mother did not like me playing with fire in my room. I also loved grwing things. I filled an old crate with ditr and bought seeds fo my pocket money. Sounds like you have been pretty consistent all the way through and not been tricked into the wrong path by pressure. Oh, I’ve not told of all my detours in this short CV. I grew up in an anti-academic surrounding, so I did NOT go to university, which would probably have suited me like a form knit glowe, but took a teacher’s exam, whici I never used. I also went to Tvind in my longing to travel, and did several other wild and stupid things. And I was ill for many (30+) years. Now that I found the cure, I can still think “Wow, what energy I have! No wonder I always was surprised how much everybody else got done – I can do this too!” But to describe it all I must needs write a book. Starting with small me, 3½ in hospital for an unknown disease, teaching myself to read. After this I read everything, voraciously and everywhere. Family visits, find me behind a chair with my nose in a versified translation of the “Odyssey” or a book written in old German types (fraktur). But nobody ever did anuthint to teach me how to learn, I think the teachers in my school had enough of a job keeping 27 bad boys and girls in their seats, and little me – from the other side of the street parting ineer from outer city was simply left alone. The only one who did something was my teacher in Danish. She used me as a second hand in teaching the class for the reading disabled. A job I enjoyed immensely. But she took care of all the children who were beaten, whose parens were drunkards and so on. People in more material distress. I stop here! Oh, please, I have invited you all to rant, I would be disappointed if you didn’t! I think that is odd – about school not teaching you how to learn and study. Due to my father’s restlessness I moved to a new school almost every year, and nobody tried to stimulate me a little extra when I was bored, nobody tried to encourage the various skills and personalities of children. Like I described in another comment with the infamous group work tasks, nobody explained to us why we had to participate in this hated form of school work or how to accomplish the best results from it. And nobody found out on their own, the purpose of it I think. I know I didn’t. This sounds just like my life story! So much to choose from, not knowing which to choose, scared to fail. Now I’m officially retired and can please myself so I am enjoying doing all these things and some new though related things, for my own pleasure. Started working, got tired of it, then had long-lasting personal crisis from 29 to 35. Went to photoschool for one year. Found meditation and the zen-teacher. Next 5 years are the best in my life, becoming more and more myself, on all levels. All this zen thing taught me not to take all those superimposed by society “must-should”s seriously, it’s OK not to have a solid, monolit ground under my feet, it’s OK to hang out there without knowing where I land (if I ever land). I have one month to go at this job I am doing now (lab work at the genebank), then I want to take a break and just hang out there, doing some textile things. Thank you for sharing your story. You are most welcome in my clubhouse! 🙂 It’s the part of blogging I enjoy the most, meeting around the globe. I wish you the best of luck with leaving behind the lab and exploring what you love. It’s about time! Nobody is going to thank you for being a slave.